Always kind of liked this photo I took along a bike trail a few months ago but never really knew where it ‘fit’ until I stumbled across Cee’s Odd Ball Photo Challenge: Week 24. Maybe it will find a home here! Posted in Uncategorized and tagged as Cee's Odd Ball Photo Challenge, grain elevator, Photography. This reminds me of my daddy’s barn when I was a kid. I remember playing in the grain–eating a lot of dust. LOL — your comment reminds me when us girls – there were six of us! 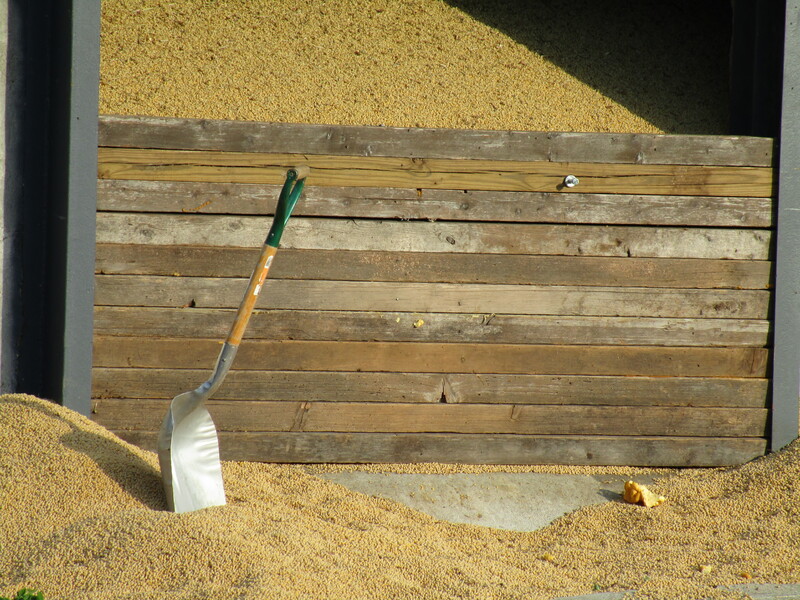 – played in the grain wagon once and spilled and threw a good deal of the corn out onto the ground. Oh, but Daddy was MAD!